Our entire team at Hill Dental Care is dedicated to creating a friendly & caring environment for each of our patients. We pride ourselves on considering the person behind the smile and think of many of our patients to be good friends. As one of Spartanburg’s longest-running continuous dental practices, we preserve an excellent relationship with the local community that can only develop over time while integrating all of the latest technology that allows us to provide state-of-the-art, tailored care. 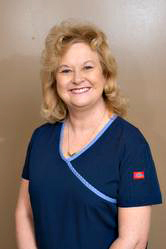 Marilyn has been a registered Dental Hygienist for most of her life, and she has worked in this office for the majority of her career. Being a part of the same practice for so many years has given her the opportunity to ‘grow up’ with many of the families she treats; in fact, she believes she is part of an ‘extended family’ in her role here. She has been the hygienist for 3 generations of some loyal families and considers herself lucky to be a part of their lives. Her patients are very important to her as individuals, and with her gentle and personal touch, she quickly puts even the most anxious at ease. The family is a top priority in Marilyn’s life. She is married & has a daughter, son, and four grandchildren. She has actively participated in her church over the years, including teaching preschool children. She considers dental hygiene to be a very special job—one she still enjoys even after ‘all these years’. Pat began her career in dentistry her sophomore year of high school, working for her uncle & founder of this practice, Dr. Perry Trakas. She moved to New York for a period of time and graduated from State University. 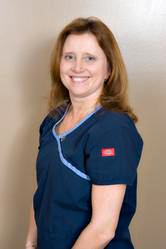 Upon graduation, she returned to Spartanburg and resumed working for Dr. Trakas, then as a registered dental hygienist. She has worked in this office ever since! During this time, she has seen many patients—a lot of whom have been coming to the practice since she began as a hygienist. She has cultivated numerous friendships over the years and strives to provide not only the best possible oral hygiene but a personal touch as well. She enjoys working with her patients and their extended families but loves getting to know new patients as well. Pat is a native of Spartanburg and resides there with her husband. They have two sons. Her hobbies include gardening, bird watching, hiking, swimming, and music. 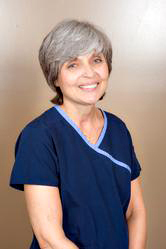 Laura has been an integral part of the practice since 2006. Prior to this, she worked at a local bank in customer service. Her pleasant smile, cheerful demeanor, and excellent people skills make her a very easy individual for our patients to deal with. She succeeds in making every contact– via phone, e-mail, or in-office—as personable as possible. Laura grew up in Cherokee County and currently resides in Spartanburg close to her family. She is engaged and has two children & three grandchildren. Her hobbies include hiking, camping, biking, spending time with friends & family, and Clemson football. 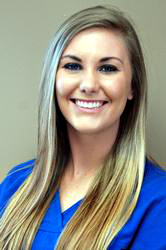 Chelsey is our chairside dental assistant. Her easy-going manner and ability to put patients at ease is appreciated by both patients and staff alike. Chelsey and Dr. Hill work together to ensure every patient visit is as comfortable and pleasant as possible. Chelsey grew up in Cherokee county and now lives in Spartanburg. She is an animal lover and has 2 cats. Hobbies include traveling, hiking, shopping, and spending time with friends & family.